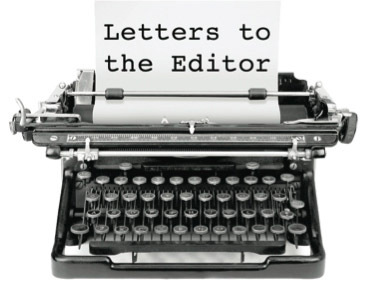 Last Sunday’s edition of the Carlsbad Current Argus included an article from the Current Argus Editorial Board which spoke favorably regarding the upcoming GRT election. While much of the article was accurate and informative, the writer failed to provide specifics in much the same way as the County Commission has. The article was somewhat critical of the RAFT (Residents Against Frivolous Taxes) organization for their efforts to 1) get the GRT issue on a ballot for the voters and 2) encourage voters to vote “NO” when they receive a ballot. RAFT’s efforts have been to inform voters of the facts surrounding the County Commission and tax issues. RAFT noted that there were no public meetings held prior to the Commission’s votes to enact these taxes. Two Commissioners asked that more time be taken to consider these issues but were outvoted. Three years ago, there were two public meetings held during evening hours to get public input on two increments of hold harmless tax. Both meetings were well attended and both increments subsequently failed. RAFT noted that no specific maintenance or staffing needs for the detention center have been presented other than to say they are short-staffed and plumbing maintenance is needed. In addition, the Commission has not been forthcoming with specific needs to justify additional General Fund dollars other than to claim that the County simply needs more money. Over the past two years, most Eddy County residents and businesses have been “cutting back” on spending and “doing without” while weathering the storm of lower oil prices. But while everyone else has been cutting back and holding the line, the County added 36 new jobs, continued to give raises, and implemented a four-day workweek, which reduces service to County residents. But now the voters are being told the County needs even more money. County GRT: May 2016, $1,375,000; May 2017, $1,896,000; June 2016, $1,262,000; June 2017, $2,329,000; July 2016 $1,112,000; July 2017, $1,677,000. In these three months, GRT has been above last year by over $2,150,000. These numbers aren’t openly talked about at Commission meetings. What is talked about is the need for more money. In addition, revenue increases from other taxes have not been mentioned by the County Commission. Oil and gas production has increased significantly in recent months, generating more severance tax dollars than last year for the County. 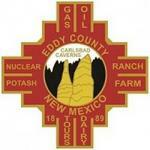 The special oilfield property tax audit being conducted is anticipated to cost oil and gas operators between $8 and $10 million, which will go directly into the County coffers. 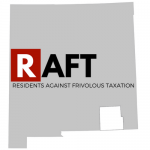 These are the reasons many voters in Eddy County, not just Artesia, are opposed to new taxes and why RAFT supporters will vote “NO” when they receive their ballots. Most Eddy County taxpayers desire a County government that will work to contain costs and cut wasteful spending before adding more taxes. These things should be considered by all voters when ballots are delivered next week.